Daley Blind is a Dutch professional footballer, born on 9 March 1990 in Amsterdam, Netherlands. Blind mainly plays as a left back but can also fit into roles of centre back and defensive midfielder. He plays for english club Manchester United and Netherlands football team. The dutchman has brilliant crossing capabilities which is part of the reason why he is played on the flanks. He can hold on to the ball for a good amount of time enabling fellow teammates to make runs. He is also versatile enough to play nice passes and excels in long shots. Blind has football in his family, his father is an ex Ajax player and was also a part of the Netherlands national team. Daley played for Ajax’s youth team and advanced through the age divisions. Blind made his first senior team appearance for home team Ajax on 7 December 2008 against FC Volendam. Blind’s international debut came on 6 February 2013 against Italy. The match was drawn by a score of 1-1. Although Blind won the championship title of 2011 and 2012 with Ajax his contributions were not noticeable until in the year 2013, where he really helped the team to win the title. Blind played his usual central defensive midfield position during the 2013-14 season, he was named the Dutch Footballer of the Year and was brilliant in helping the team to win their fourth title. The Dutchman was signed by English Club Manchester United following his great performances at Ajax. 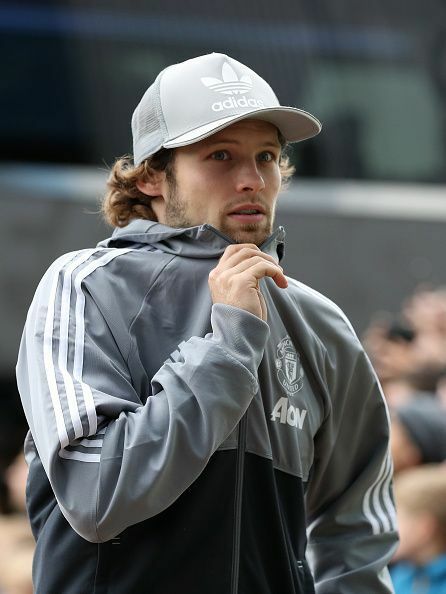 On 20 October 2014, Blind scored his first Premier League goal against West Bromwich Albion leading United to a draw. Some great performances in the previous season and overall growth made Blind a permanent squad member in the 2016-17 season. He won the Europa League final against his first professional team Ajax. Blind worked his way up the youth squad of Netherlands national team, starting at the under - 17 level he was called for under-21 and finally made his way up to the senior squad. He participated in the 2014 FIFA World Cup and was a delight to watch against Spain where he assisted two goals as the Netherlands won 5-1. He scored his first goal against Brazil and won the match 3-0. 1 player from each of the Premier League's Top 6 who should be pushing for a move away. Abdelhak Nouri: Will you remember me?